Rest. Everyone needs it. No one gets enough of it. We don’t have time for it. It seems like a luxury in our fast-paced lives. But what if rest is not an optional extra but a Biblical necessity for the follower of Jesus? ‘Let us make every effort to enter God’s rest,’ writes the author of the book of Hebrews (4:11). Make an effort to enter rest? Seems like a contradiction in terms. Isn’t rest a nap at the end of a long day or a holiday at the sea once a year? How much effort does it take to collapse? 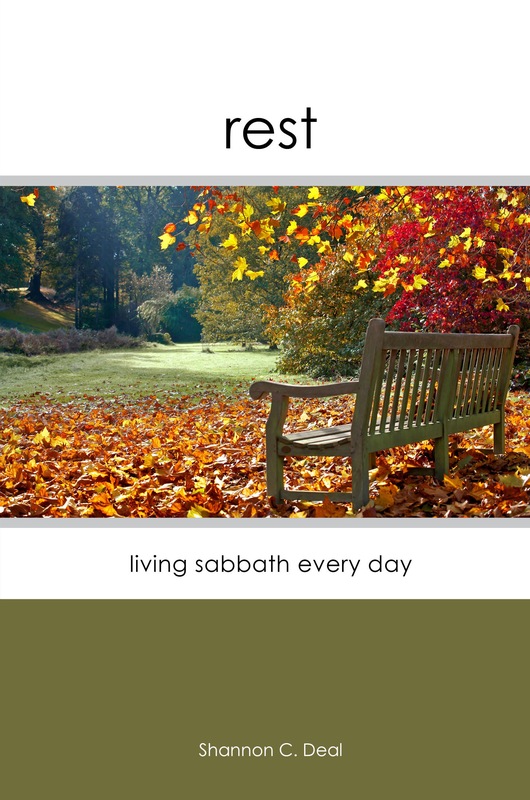 In her exploration of Biblical rest, Shannon C. Deal suggests that all true rest is based on the work of God already completed in creation and redemption. We experience true rest when our rest is rooted in His. The good works God has created for us to do grow out of that rest. Don’t rest from work; work from rest. With reflection questions at the end of each chapter and a small group discussion guide, this book is designed to lead readers through an exploration of a refreshingly productive rest-filled life. Need to add “Risk” to your Publications page on “THEology”. Just read chapter 1 of Risk. Thanks Shannon.